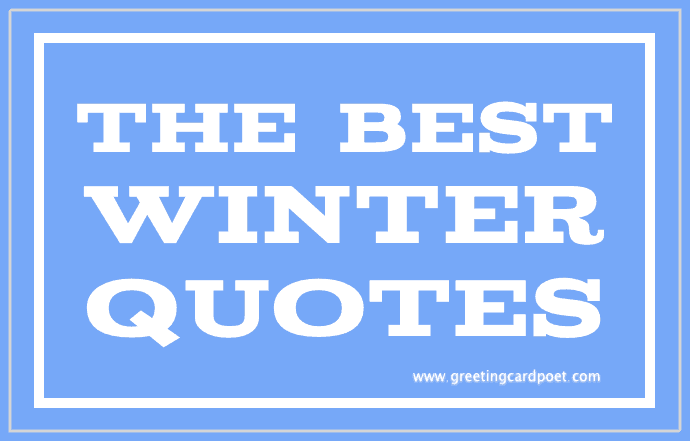 Check out these winter quotes and sayings that capture the essence of a cold winter. There’s nothing as beautiful and serene as the countryside covered in snow. Spring, Summer and Fall are cherished for their peculiarities. Winter is loved by many as well. Not only is it the harbinger of the holiday season and Christmas, it brings back memories that remain with you throughout your life. Even the harshest of winter days have a fresh feel to it – a sensation that takes you to a distant land far away – like something that dawned into this world from your dreams! Many hate it, many love it, but winter always ignites a kind of fervor in every soul. Enjoys this cold sayings and cozy up to the fireplace with some hot chocolate. I wonder if the snow loves the trees and fields, that it kisses them so gently? And then it covers them up snug, you know, with a white quilt; and perhaps it says, Go to sleep, darlings, till the summer comes again. Thank goodness for the first snow, it was a reminder–no matter how old you became and how much you’d seen, things could still be new if you were willing to believe they still mattered. I prefer winter and Fall, when you feel the bone structure of the landscape–the loneliness of it, the dead feeling of winter. Something waits beneath it, the whole story doesn’t show. In the midst of winter, I found there was, within me, an invincible summer. And that makes me happy. For it says that no matter how hard the world pushes against me, within me, there’s something stronger — something better, pushing right back. You can’t get too much winter in winter. My standards are dropping as quickly as the temperature. I’m staying in shape this winter by wearing enough layers to be constantly sweating. The first snow does not mean winter, nor the first love marriage. Blow ye winds, like the trumpet blows, but without that noise. If the October days were a cordial like the sub-acids of fruit, these are a tonic like the wine of iron. Drink deep or be careful how you taste this December vintage. The first sip may chill, but a full draught warms and invigorates. Blow, blow, thou winter wind Thou art not so unkind, As man’s ingratitude. The Winter Solstice is the time of ending and beginning, a powerful time — a time to contemplate your immortality. A time to forgive, to be forgiven, and to make a fresh start. A time to awaken. As it somehow always manages before the winter solstice, but never after, the early darkness was cheerful and promising, even for those who had nothing. I celebrate the spirit of Christmas. It’s the winter solstice celebration, rebirth and new possibilities. The life of man is a winter away. What a severe yet master artist old Winter is — No longer the canvas and the pigments, but the marble and the chisel. I’m from Sweden so I don’t enjoy winter at all; there’s nothing cute about it. I miss hating the sweltering summer heat! Shut the door not that it lets in the cold but that it lets out the coziness. Dear Winter, I’m breaking up with you. Cold! If the thermometer had been an inch longer we’d have frozen to death. The cold cut like a many bladed knife. Dear Mother Nature, get back on your meds, pop open a bottle of wine, and start thinking warm, happy thoughts.